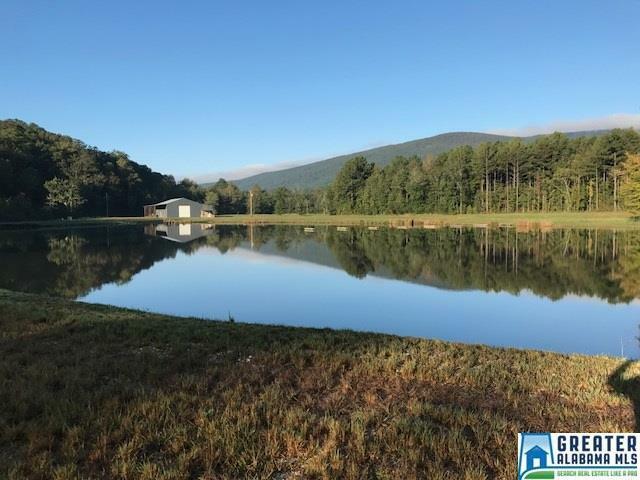 50± Acres, Barndo, Pastureland, Lineville, AL Perfect Getaway – This 50± acre tract has scenic mountain views, pastureland and hardwoods. It is a great hunting tract and is located ¼ mile from the Talladega National Forest wilderness area. And if fishing is your thing, there is a stocked fish pond and Nubbin Creek runs through property. A 72 x 70 Barndo built in 2014 completes this picture. With 768± square feet of living space, 1 bedroom & 1.5 baths and all furnishings except the sofas included, you can show up and begin enjoying it immediately. Kitchen has a great layout with eat-in area & breakfast bar, refrigerator, stove, microwave, and spacious cabinet space. A separate laundry room has washer & dryer plus additional storage. Don&apos;t forget your toys – the barndo also includes shop space for storing your tractor, recreational vehicles or hunting gear. Jump on this one, it won't last long.